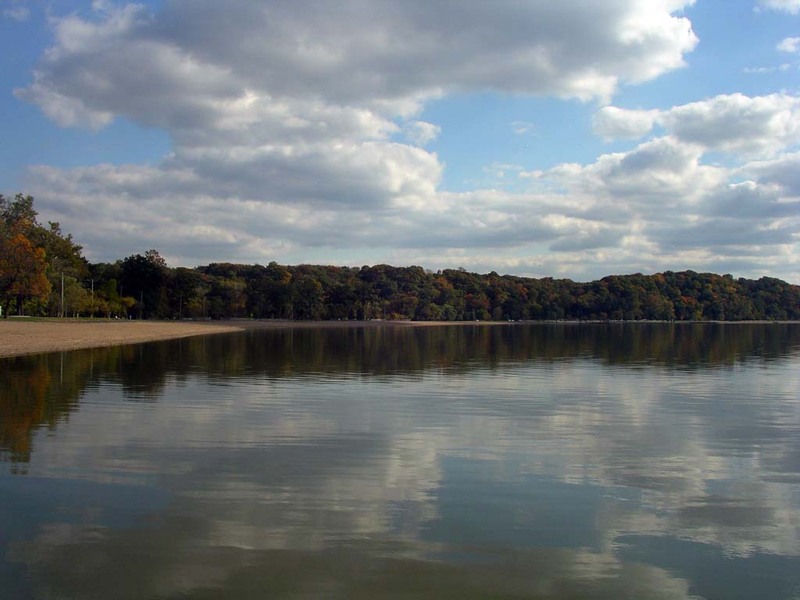 The Creve Coeur Site, a bluff top archaeological site overlooking an oxbow lake of the Missouri River in St. Louis County, was identified in the 1940s by Leonard Blake as an important Middle Woodland Period site. 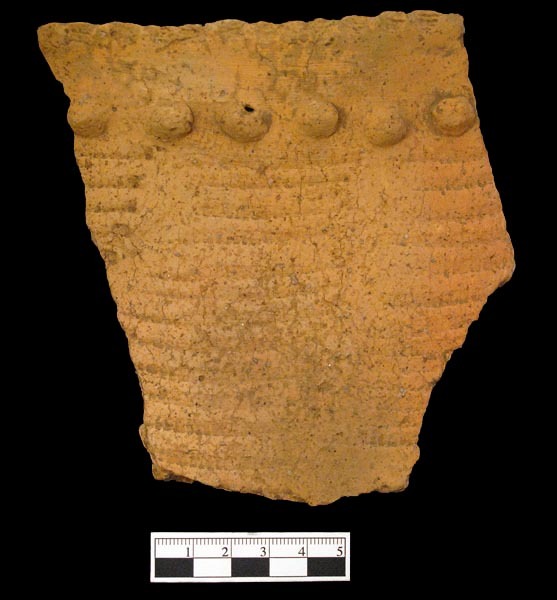 The pottery and stone tools from the Creve Coeur Site belong to the technological/artistic tradition that is described as "Hopewell." A rescue excavation was carried out from October 1953 until Novemer 1954 to document the site before its destruction. The excavation was directed by Leonard Blake with the advice and assistance of Dr. Preston Holder (Washington University in St. Louis) and Dr. Joyce Wike (Washington University in St. Louis). A charcoal sample recovered during that excavation yielded a radiocarbon date (M-897) of AD 120 +/- 200. Blake (n.d.:3) describes the soil in part of the site as stained black from the intensity of organic debris. Midden sites of this nature are rare in Missouri and reflect a very intense or possibly specialized use of the site. Dr. Paul Parmalee (Illinois State Museum) identified the animal bones recovered during the rescue excavation as almost entirely White-tailed deer (287 definite specimens and 588 probable specimens) with a small number of Woodchuck (19 specimens), Raccoon (8 specimens), Squirrels (8 specimens), Muskrat (4 specimens), Dog (3 specimens), Bobcat (1 specimen) and Beaver (1 specimen). Bird bones (21 specimens) included at least one duck (possibly Mallard) and one turkey. Reptile bones were primarily Pond Turtles (62 specimens), other turtle species (11 specimen), and snake bones (8 specimens). Fish bones (13 specimens) included Freshwater Drum, Catfish, and Buffalofish. Recovery techniques for plant seeds were very primitive in the 1950s. Blake recovered a few seeds and wood samples which were identified by Dr. Hugh Cutler of the Missouri Botanical Gardens. Identified botanical remains included Black Walnut, Hazelnut, Kingnut hickory, and Horsetail rush (used for a mat?). Starchy cultigens (Cheno, Amaranth, etc.) or corn were not recovered but "could" have been present in the midden soil. The local placename for the lake near 23SL20, "Creve Coeur" (French, broken heart), dates back as far as the 1700s in local records. A sign in Creve Coeur park, not far from the 23SL20, reports the "legend" that an Indian princess fell in love with a French fur trapper, but the love was not returned. The princess leapt from a ledge overlooking Creve Coeur Lake and the lake then formed itself into a broken heart. I propose that the legend may have roots extending into prehistory and that the Creve Coeur site (situated only a few hundred meters from the waterfall) was the location of periodic feasting and sacrifice. I propose that the waterfall was perceived by pre-contact Native Americans as the result of a broken hearted woman (lover, bride, mother, grandmother?) weeping over the death of a beloved male (husband, lover, son, grandson? ); the oxbow lake contains her tears shed over the centuries. The fact that the legend speaks of sacrifice (or at least self-sacrifice) is not implausible within Native American tradition. If my connection between the site and the waterfall seems implausible, then I recommend that you watch a videotape/DVD entitled Millennium: Tribal Wisdom and the Modern World, Part 6 - Touching the Timeless that was produced by Professor David Maybury-Lewis of Harvard University. Professor Maybury-Lewis documented the Huichol Indians (who live in the Sierra Madre mountains of central Mexico) and their view of sacred landscapes. One scene shows ritual offerings being made to a female deity associated with a natural spring. Another parallel, admittedly from MesoAmerica, comes from the myth cycle of the Popul Vuh. A passage in Chapter 7 relates that an ancient female spirit named Grandmother cries when the owl (messenger of the Underworld deities) summons her grandsons Hunahpu (Quiche Maya, Hunter) and Xbalanque (Quiche Maya, Jaguar Deer) to play ball in the Underworld. Another passage in Chapter 14 describes how Grandmother cried and lamented at the symbolic news of the death of her grandsons. 1942 A Hopewell-like Site near St. Louis. Missouri Archaeologist 8(1):2-7.
n.d. The Creve Coeur Lake Hopewell Site. Unpublished manuscript in possession of Richard Martens. 1968 The Havana tradition and the Hopewell Problem in the Lower Missouri River Valley. Manuscript on file with the Missouri Archaeological Society. 1976 Heritage of the Creve Coeur area. Published by the City of Creve Coeur. 1989 A History of Amateur Archaeology in the St. Louis Area. Missouri Archaeologist 50. 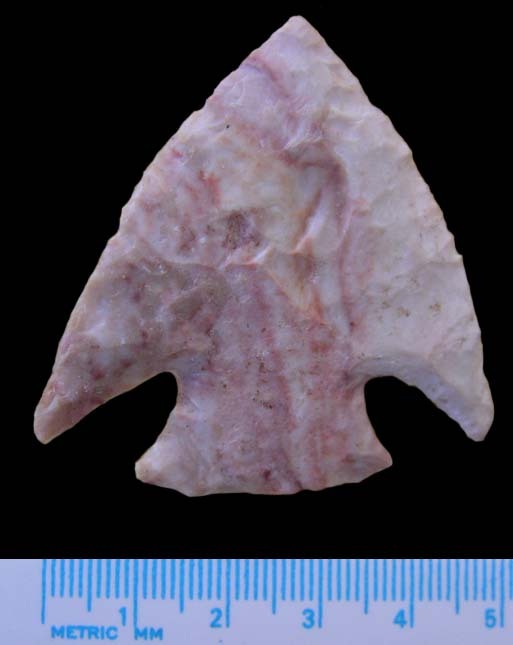 1997 Lithic Analysis of the Creve Coeur Site (23SL20). Unpublished Senior Honors Thesis, Department of Anthropology - Washington University in St. Louis. Special thanks to Dr. Leonard Blake for his friendship and for taking me to 23SL20 during the 1970s. Thanks to Richard E. Martens and Jesse W. Francis (St. Louis County Parks Curator/Restorationist) for their assistance in gathering information for this webpage. Many thanks to Professor David L. Browman (Washington University in St. Louis) for sharing a copy of Thomas Silverman's honors thesis. A warm thanks to Neathery Batsell Fuller for her advice on the content of the webpage. Many smiles to Ettus Hiatt for her help with text and content editing.